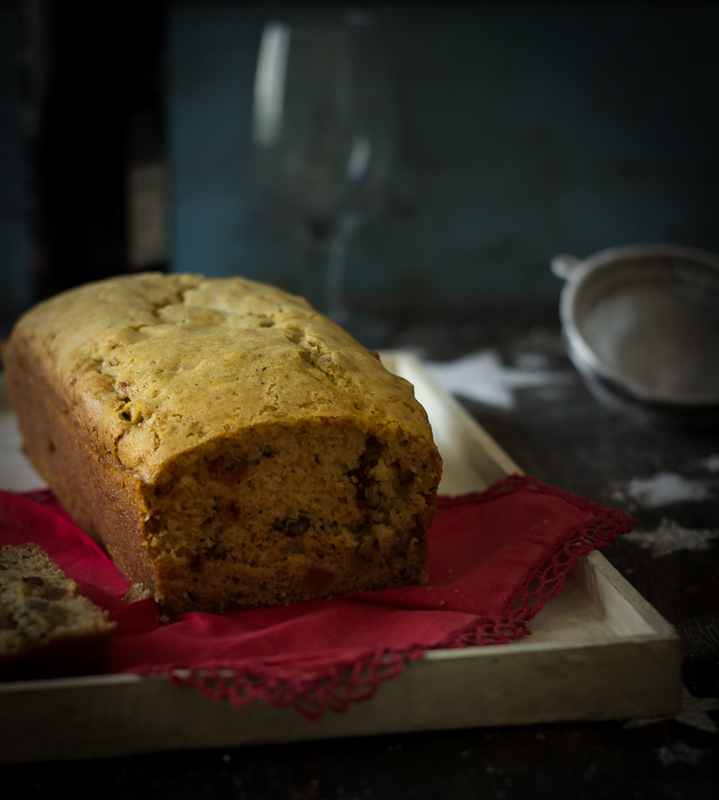 When I visited my mom this year in summer, my sister made me taste a fruit cake from a bakery in Dehradun and asked me to identify the spice which is imparting the unique flavor and aroma to the cake. I couldn’t identify it and racked my brain quite a bit. Well didi, this post is for you as finally identified that spice – nutmeg and I absolutely loved that flavour. Now I will create it for you when I see you next and you can pass your judgement. You can reduce quantity of nutmeg depending upon how strong the flavor you want. 1. Preheat oven to 200 C. Grease and line a loaf pan. Sift flour 2-3 times. 3. Pour batter in the prepared pan. Bake at 200°C for 10 minutes, reduce temperature to 170-180°C and bake for 45 minutes or till a toothpick inserted into the cake comes out clean. 4. Cool the cake for 30 minutes and then overturn onto a plate. Wait for at least 2 hours before slicing it, else it doesn't slice neatly. Coat all dried fruits in flour to avoid sinking to the bottom.